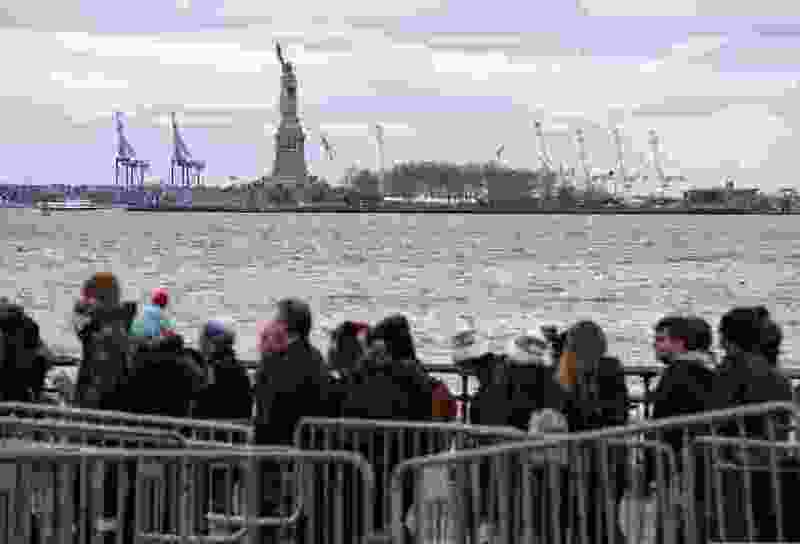 (Craig Ruttle | AP file photo) People line up to board a ferry to visit the Statue of Liberty Saturday, Dec. 22, 2018, in New York. The situation along our southern border is not an unexpected occurrence. There are no new sets of circumstances demanding immediate attention. The immigration conditions along our southern border have existed for decades. There is nothing new and nothing that is imminently pressing that requires immediate attention. As a matter of fact, the situation of illegal immigration is less pressing today than it was 10 years ago. What is a crisis, and demands immediate attention, is the influx of illegal drugs coming across our southern border at legal points of entry. No wall or barrier will affect the influx of illegal drugs coming into our country through our points of entry. What is needed is a comprehensive solution that addresses the realities we face, with immigration and the smuggling of drugs. Drug smugglers need to be fearful that their actions will be punished and that the chances of getting caught are high. Let us not forget we are a nation of immigrants and we are proud of that fact. Immigration needs to be legal, humane and morally defensible. We are a welcoming and warm society, not a cruel and heartless society. The actions of our current leadership should be rejected, as they are heartless and cruel as those actions have been applied to immigrants along our southern border, and we should seek the higher ground so we can be the people we know we should be.